It’s not a boat but it is narrow. I know it’s not a narrow boat. Although we might be in a position to buy a narrow boat now and live on board we would have to continue working part time to make ends meet. This adds all kinds of complications to life on a boat, not least the fact that we would have to have a permanent mooring and almost certainly run a car in order to secure work. We would also be limited to cruising short distances in between work with the possibility of longer trips for holidays. This is far less attractive than being able to travel around the country on the boat, free to roam as we please. For that we need to be financially independent and that isn’t going to happen any time soon. It just isn’t the life that has caught our imagination whilst talking to other liveaboards. What we really want is it to retire to a narrow boat and explore the life style without the constraints of work or place. With this in mind we re-examined our finances and worked out the quickest route to life on the water. Enter a cheap mobile home, bought for cash, and a compact but rent free life that will allow us to reach our goal in half the time previously anticipated. There is a real danger in this. Living for the future is something that we don’t believe in and on paper that appears to be exactly what we are planning to do. It will be at least five years before we can retire which is a long time and we have no intention of putting our lives on hold in the hope that it will all work out in the end. The challenge now is to squeeze all we can out of park life and to find some kind of balance between working for the future and living for the moment. Not an easy thing to do I’ll grant you but we are up for that challenge. There is an age limit on the park we have chosen, residents must be at least fifty five. Gill has thoroughly enjoyed having estate agents gently point out to her that it is unlikely that we would qualify. I couldn’t help but notice that they were always looking at her when they broke this news. Of course I am more than qualified already but Gill will have to wait until the New Year to fit the rules. 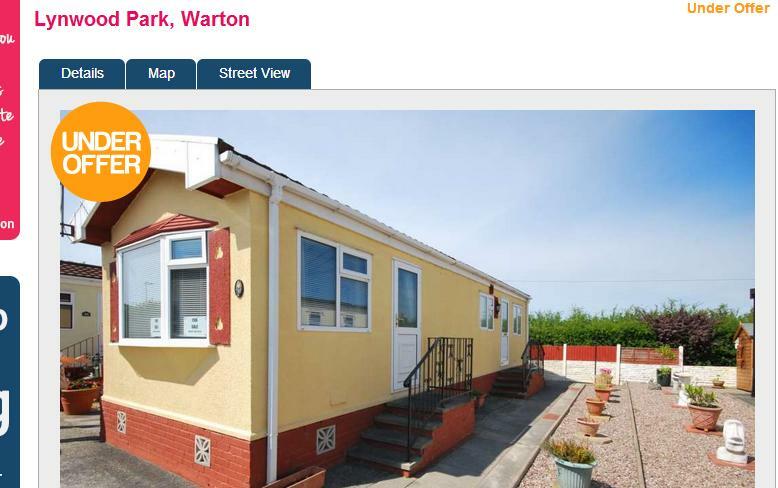 I have a sneaking suspicion that there may be blogging material in life on a residential mobile park, watch this space as they say. That will be a 35′ x 12′ space to be precise. Still, bigger than a tent eh?